Yep, same story as last week I'm afraid: I failed the King of Plague stage once again. Got a couple of new tokens unlocked though for "The Lovers" card (helping two lovers flee a town despite angering a guild master and his mob) and "The River" card (managed to pick up a ring at the bottom of a river… MY PRECIOUSSSS!!!). It's a pity since again I was doing so well – there was even one fight against Jack of Dust and two lava golems and I only got hit once! But still what stuffed me up in the end was Mr Lionel's stupid Goblin King's Halls sidequest (Number four to be precise). Usually I find avoiding traps easy but this fourth one I managed to get killed on – and so ends my story once again! I really like the Guardian Angel card though that you can sometimes get at the beginning of the game – it lets you redraw cards if you happen to make an unlucky choice – very useful in case you pick a Failure or Huge Failure card. Completed the game and I love how the epilogues work in the new The Walking Dead and there are so many Clementine stories out there (just search for them online if you don't believe me) – but that's because Season 2 had different endings not to mention you get quite a few choices to make in this game too. Through these games you see Clementine growing up from a little girl to a young independent woman (well almost, she's only just hit puberty in this season) – it also looks like we will see more of Clementine in the final season of The Walking Dead and I'm looking forward to it. Overall, I enjoyed my experience with A New Frontier: there are quite a few different outcomes that could be had in this instalment and this game has worked pretty well on a modern PC – except for the occasional black line artifacts and graphical glitches (e.g. characters that shouldn't be in the scene) – at least there's no framerate drops! 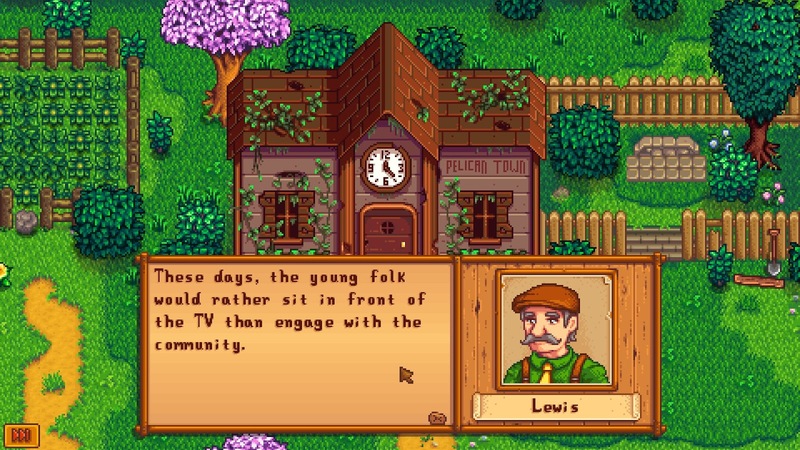 I've been going through a rough patch of cluster headaches recently so when I can't sleep and the headaches aren't so bad yet that I want to dig my eye out, I was thinking, maybe I should try a game that people consider "relaxing" or "calming": candidates included Euro Truck Simulator 2, The Witness and this game, Stardew Valley. Surprisingly, playing the game for an hour actually did help the headache go away, although it might've been a coincidence more than anything else (confirmed on a later cluster headache attack – it was just a coincidence). Made a bit more progress with XCOM 2 but unfortunately lost one of my veteran rangers to a Muton counter-attack: I attempted to slash him but instead got hit back for a whopping 8 damage! Anyway, the mission was ultimately a success but at a pretty high cost. It seems that ADVENT is still making progress on their Avatar Project though so I've been trying to make a beeline to one of their blacksites in Western Europe and the mission apparently has a difficulty rating of "Very Difficult" – great. I'm not really sure if my troops are prepared enough to take on the mission (since I'm not sure whether you need certain armour or weapon upgrades or not) so I'll be going into it blind like it was with the first blacksite mission.